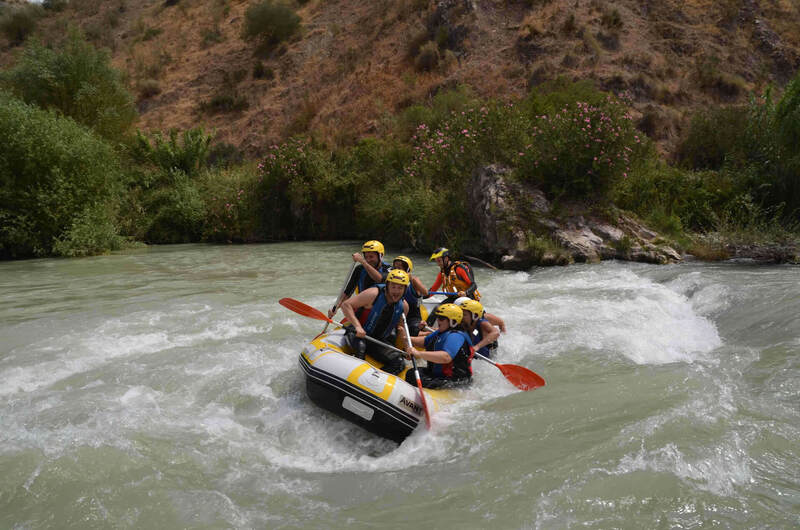 The activity will be placed in two different areas, Cuevas Bajas and Jorox (Málaga), and it will be consisting in a half day of exhilarating white water Rafting in Genil River (Mälaga) plus Canyoning Jorox . 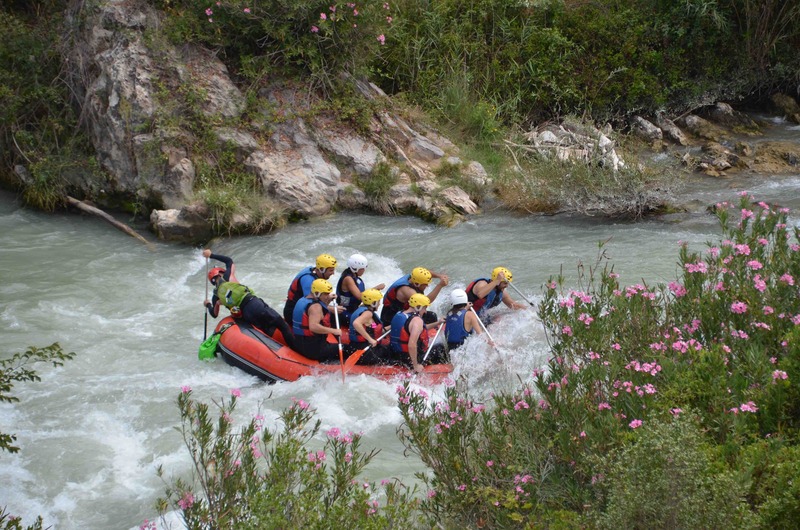 The activity will be placed in Cuevas Bajas and it will be consisting in a 2 hours of exhilarating white water on the Genil river. 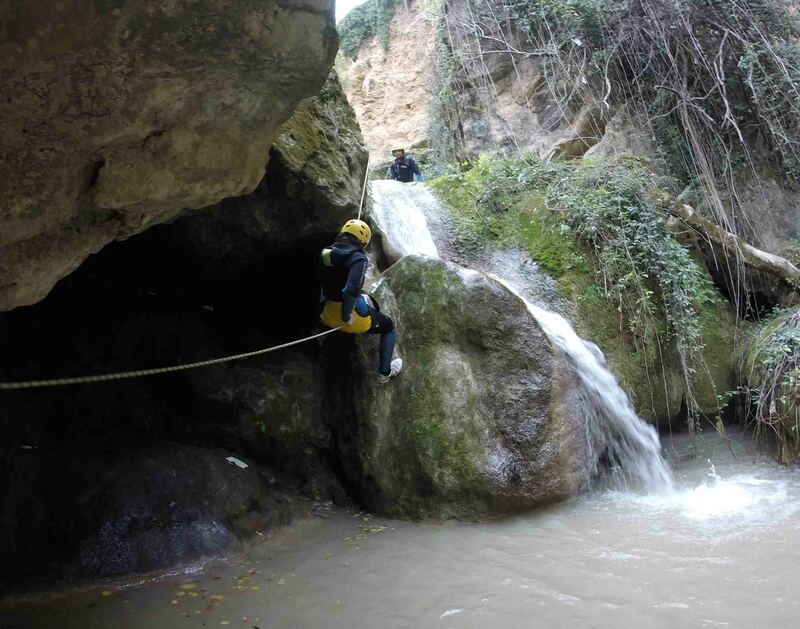 The town of Cuevas is only 50 minutes drive away from Málaga and one hour from Córdoba and little more than one hour from Granada. 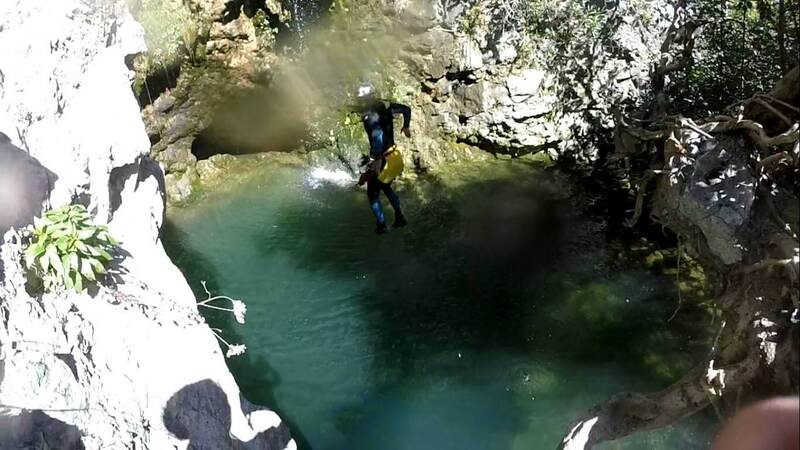 You will take a break for having lunch (picnic lunch is included on this offer : Sandwich + fruit + soft drink) and in the afternoon you will get ready again for the next activity – Canyoning this is going to be a good experience for being introduce on this type of activity through gorges that will involve you running down wet slabs of rock, jumps into pools and slides we make our way down the canyon. 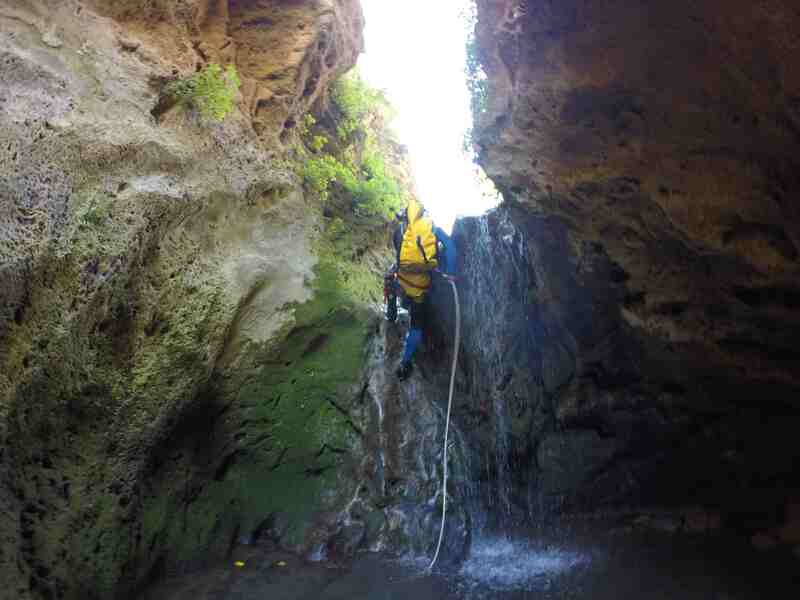 This canyon is an easy-intermediate level, and suitable for minimum 14 years old participants. 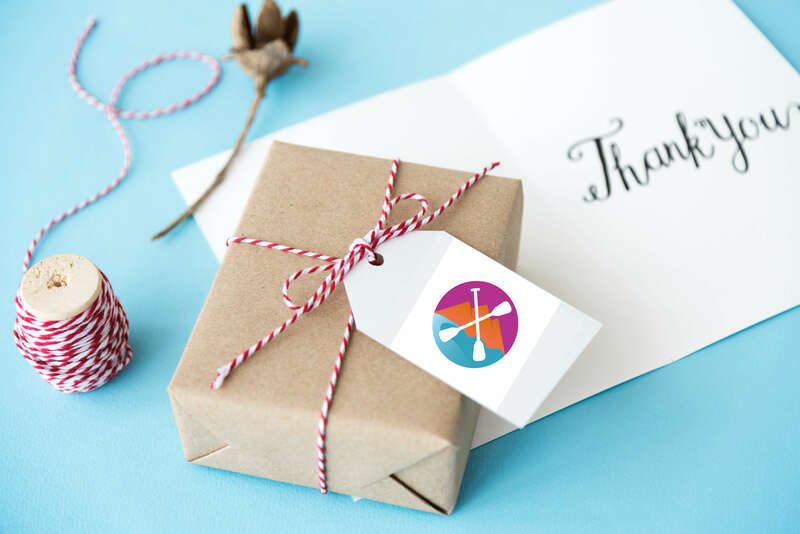 Local transfers from our facilities to the starting point for Rafting and return to our facilites.